Is your laptop slow and clunky? Have you run out of hard drive space or require more memory to help speed things up? Perhaps a solid state drive to supercharge your system is required. Unlike a PC there are not as many laptop upgrades you can do, but at User2 we can help you get every last ounce of power from your system. Please visit or call one of our Edinburgh based stores for assistance with your laptop upgrade needs. Hard Disk Drive (HDD) - Consider a larger capacity HDD for more storage space or add an extra drive where possible. Especially handy for storing downloads or essential data backups. You can often exchange a DVDRW drive for a second hard drive using a drive bay adapter. 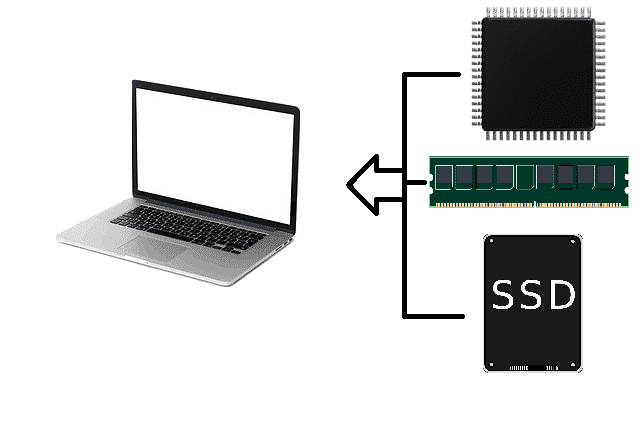 Memory (RAM) - Unlock the potential of your laptop with additional RAM . While today's recommended minimum is 4gb, upgrading to 8gb or more can give your laptop that extra oomph you’ve been looking for. If you want to have more browser tabs and memory hungry applications open at once, more RAM is what you need. Graphics Card - Although less common than a PC, some laptops can have the graphics card replaced. User2 specializes in graphics upgrades so you can play the latest games. Cooling - Some laptops have a habit of reaching their maximum temperature and slowing down to compensate. Often this is due to the cooling system being clogged or needing new thermal paste. Wifi - Does the wifi on your laptop seem slower than on other devices. It could be that your internal wireless card can be upgraded or replaced by a much faster USB dual band adapter. Is your laptop running slow? As a consequence, are you thinking of buying a new model? First of all why not give User2 a call. Initially, we will advise whether it would make good sense to upgrade your existing model and give you several proposals. Finally, if your old laptop should simply be retired, why not browse to our new laptop page where you can purchase the latest specification. Don’t settle for a slow, unreliable laptop – contact User2 today - the Edinburgh laptop upgrade specialist.